Criticism is mounting of the royal family’s decision to sell a number of works of art at auction, among which a drawing by Rubens, the AD reports. 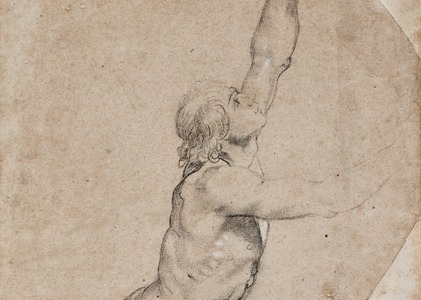 Later this month, auction house Sotheby’s will be selling silver, Chinese porcelain, and drawings by old masters, of which the charcoal drawing of a young man by Flemish painter Peter Paul Rubens is the most important. According to Sotheby’s catalogue the drawing, which will go under the hammer on January 30 and is expected to fetch around €2m, is ‘property of a princess’. It is widely assumed that this is princess Christina, the former queen Beatrix’ youngest sister. Dutch museums thinking of selling off old masters have imposed a rule on themselves to inform interested parties in the Netherlands before involving an auction house. The royal family, which has a very large collection, does not honour this rule, the AD writes. ‘There has been no consultation and that is not the right royal way,’ Sjarel Ex, director of the Boijmans van Beuningen museum, told the paper. Ex’s museum, which is currently being refurbished, has the largest number of works by Rubens in the country. He is urging the Dutch royal family to desist from auctioning off the drawing to allow time to secure the work for his or another Dutch museum. ‘This has been sprung on us. This collection is part of the Dutch national heritage. (..) Going to auction means the owner is only after the biggest prize. (..) If we could acquire the drawing it would be the most important piece in our Rubens collection,’ the paper quotes Ex as saying. D66 MP Salima Belhaj has asked questions in parliament about the case. ‘Works that go abroad, stay abroad,’ she told the AD. The Rembrandt association, which discourages the sale of art works of national importance abroad is also critical of the upcoming sale. Princess Beatrix is a patron of the association ‘but that doesn’t mean I have a direct line with her to discuss matters like this,’ the paper quotes director Fusien Blijk de Vroe as saying. Sjarel Ex says one of the prospective buyers is collector Leon Black, former owner of banana brand Chiquita.